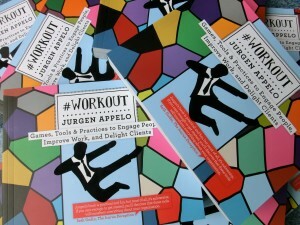 #Workout, a book by Jurgen Appelo, is ready to read in its print version, and it seems to be beautiful. I write “seems” because I don’t have the print version (yet). However, the way Jurgen wrote this book allowed me (and a lot of other people) access to the content almost instantly. I remember the first lecture on this material, around May 2013. It was related to the “kudo box”. This workout is the first one in the print version. During 2013-2014 Jurgen generously shared every single workout with many people for free. For people with passion and enthusiasm for changes, it was priceless. And I was one of them. So, while I don’t have the printed version, I had access to the full digital book for free. Due to this, I am able to write this review. 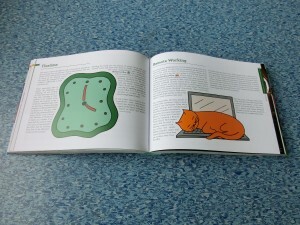 The content of this book is a little bit special, and a lot of people associate its content with “agile” practice. In my case, I would like to avoid that relationship. This does not mean that the relationship does not exist. I want only to avoid associating it with “agile” practice. Why? Because whether you are doing agile or not, this book is a must-have in your bookcase. You should take it as a reference book wherever you are working, regardless of whether or not it is an agile organization. So, what you will find there? Well, you will find much guidance on a new way to manage your team or organization. You will able to deploy every single idea in your organization, and you will have good explanations of why these ideas work. It is often important to know why a guide or exercise works. Jurgen has done a great job of explaining why these workouts work. He also added references, so people reading his book are able to more deeply investigate why a particular workout is effective in today’s organizations. If you are looking for inspiring and great ideas to transform your organization, you will enjoy this book. Pay attention; you need to keep in mind that if you need to change something, you need to do things in different ways. This said, you should expect to find great ideas in this book, which sometimes people might call “crazy” ideas. However, you will not find anything crazy here, only different things, which you are not used to seeing in other manager books. I personally know that these ideas work. I use a lot of them myself. I really hope you enjoy this book. Did you already read this book? Do you want to share your feedback here? Don’t be shy – we would love to hear from you. Feel free to share your feedback here.